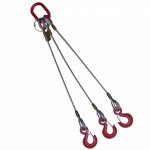 Searching for a custom lifting sling? Count on CORE™. Call us at 888-794-0587 Monday - Friday, 7am-5pm CDT and let our experienced sales team help you find the right lifting sling for your needs. 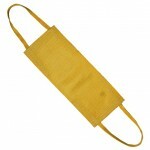 All slings are custom made to your specifications. Guaranteed. Heavy duty nylon stretches to conform to loads for added security. Made in the USA and treated to prevent abrasion, nylon slings are available in several configurations, in single or multiple plies. A low stretch value and load shock risk makes polyester round slings ideal for lifting more delicate loads. Lightweight and easy to handle, the fabric is also resistant to ultraviolet rays, acids, mildew and rot. 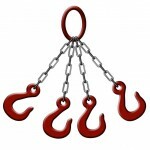 Strong and durable wire rope slings are designed for lifting, towing, and hoisting heavy loads. The steel fabrication also makes them resistant to heat, moisture, UV rays and most chemicals. Chain slings are an excellent choice when extra strength is required and environmental conditions may be hazardous or extreme. A variety of designs and choice of end fittings offer extensive options.